Canada's natural resources minister wants his American counterpart to step up and help on stalled pipelines, calling the long-delayed Keystone XL project "very important" to both countries. 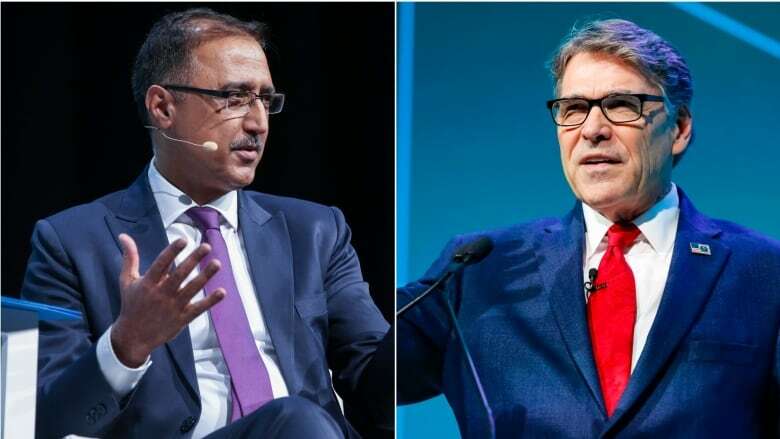 Amarjeet Sohi met with U.S. Secretary of Energy Rick Perry on Wednesday in Houston at the CERAWeek energy conference. 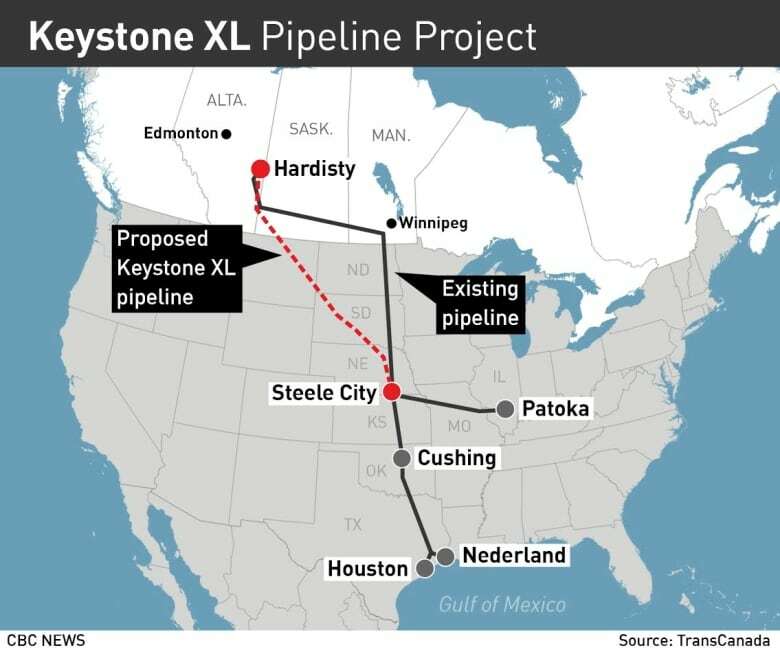 The focus was on TransCanada's Keystone XL project and Enbridge's Line 3 replacement pipeline. The project has faced delays for the last decade, but received new life under U.S. President Donald Trump. So far, though, the president's approval hasn't been enough to get the pipeline built. "I brought up the issue of the Keystone XL pipeline and how we continue to support that project," Sohi said about his meeting with Perry. "It's a very important project for Canada and for the U.S."
If TransCanada can't start work on the project soon, the company has said the project will be delayed another year, slowing its plan to invest billions and create thousands of jobs. "I stressed that point with secretary Perry to ensure that he is aware of the implications of a one year delay to this project and the financial implications for the company," Sohi said. "He absolutely understands the concerns and he has assured me he will do whatever possible in his hands to give the necessary support." The pipeline would ship 830,000 barrels per day of oil from Alberta to Nebraska and cost $8 billion US, according to the company's last estimate. 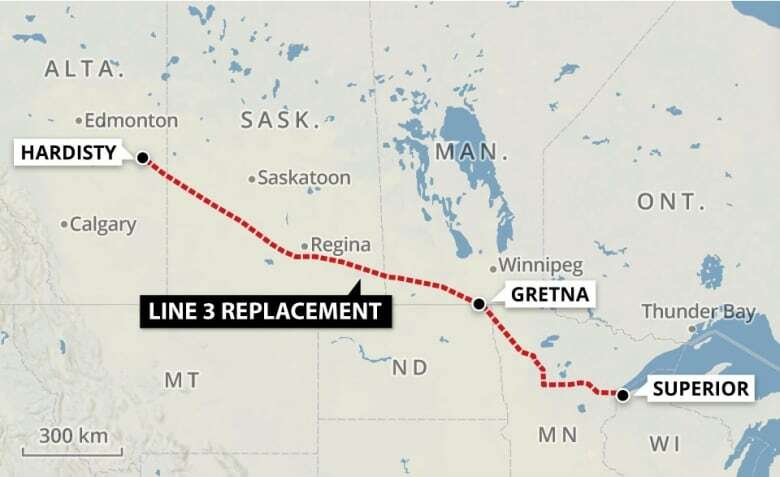 Enbridge's Line 3 project is also running into delays in the United States. The company is facing opposition from Minnesota's governor, who has pursued an appeal with the state's utility board. The governor has sided with environmental and Indigenous groups who are concerned about the project's impact on climate change, as well as the risk of leaks. Sohi, an Edmonton MP, said he too is frustrated. However, he won't be contacting Minnesota's governor about Line 3. "We respect the process that U.S. states have in place to issue permits," he said. Permits from the state of Minnesota were expected to be finalized by the second quarter of 2019, but now they won't be provided until November, with U.S. federal permits expected to be finalized one to two months later. It wasn't immediately clear what specific actions Perry could take as the Keystone XL case moves through the courts, and Line 3 project waits for permits. "This is really important," said Perry to journalists about needing a stable, plentiful supply of energy.